Indian Banking sector rapidly advanced with the introduction of several advanced banking options. Net banking is one of the superior services that brought convenient options of banking for the account holders. Do you have an account with Tamilnad Mercantile Bank? Do you have access to TMB Net banking? If you haven't activated, register and activate TMB Net banking Online without visiting the branch. Enabling net banking for your account, you will open up new ways of making transactions being in your comfort zone. You need a computer or laptop with internet access. Don't waste your time visiting the branch or ATM for money transactions after activating Net Banking. Step 1: Open your web browser and enter https://www.tmbnet.in. You will get directed to the official page of TMB Net banking. Click on 'Login' button. Now click on 'Continue to Login'. You will get directed to the Login Page. Click on 'New User Registration' link. Step 2: You will get directed to the New User Registration page. Read the Terms & Conditions and click on 'Agree' button. On the new page, you need to enter Bank Account Details and Additional Details. After entering Account Number, Date of Birth or PAN Number and the Verification Code as shown in the image, click on 'Continue' button. Step 3: You will receive an OTP in your registered mobile number. Enter the same in the provided box. Click on 'Continue' button. Step 4: Enter a login User ID for the account and Set a login password Make sure to set a strong password and click on 'Continue' button to proceed ahead. The screen will display the message about the successful setting of User ID and Password. Step 5: Click on 'Go to the Login Page' button. Enter the Login ID and Password and click on Login button. You need to select the Security questions and provide the answers for future reference. Enter the 'Verification Code' and click on 'Register' button to proceed further. Step 6: If you wish to change the Password and set a new one, get it done in the new page and click on 'Continue' button. You can access the Net Banking facilities after 24 hours of registration. Make sure to keep the registered mobile number and other banking details near you. You need not visit the branch to activate net Banking facilities for your account. Get it done at your home or office and get access to your account round the clock. 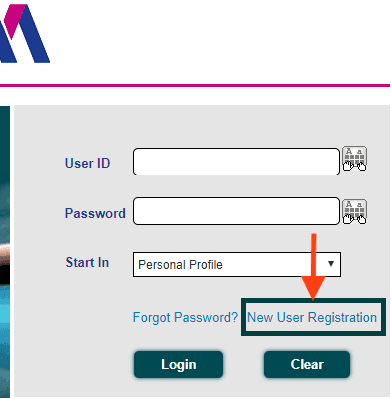 How to login for tmb internet banking for first time. I am facing the tmb net banking login issue. How to solve this issue? I'm not having registered mobile no. how can I change y mobile no in online? Received sign-on password and transaction password. And user Id from the branch. could not access the internet service. I have given the new passwords. For passwords, it shows the fair symbol. Mail id not registered in my Account. How to update the email id. I forgot my tmb net banking password how to recover it? it's asking me to register the Gmail. but I have registered my mobile number.